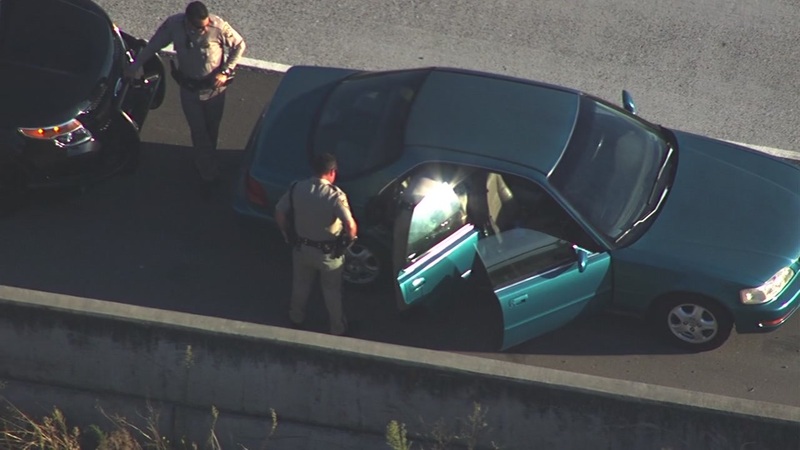 DUBLIN, Calif. (KGO) -- CHP officers arrested a suspect following a chase that started on westbound I-580 in Livermore and ended in Dublin this afternoon. Police say a green Acura failed to pull over for an East Bay law enforcement agency near Grantline Road and I-580 in eastern Alameda County. CHP officials have not released information as to why the suspect failed to pull over.